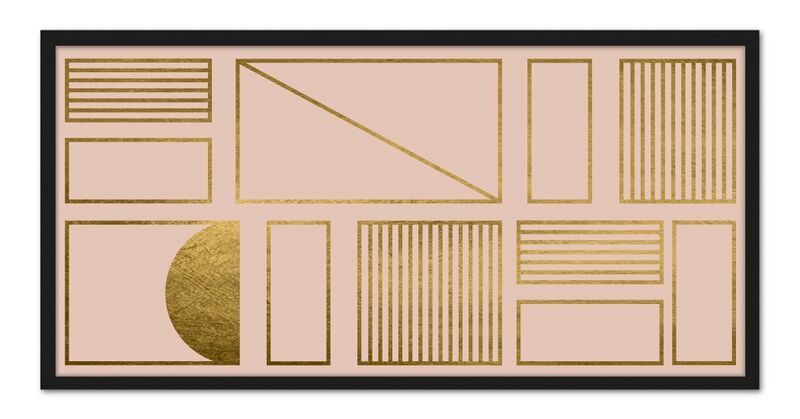 Gold foil rectangles are abstractly arranged to make up this geometric print. It's large and wide – a great focal piece for above your bed or sofa. Is there a more dreamy colour combo than gold and pink? We don't think so. Add instant Instagram appeal to your wall.